Once upon a time in the land of Lyr, acrobatic wannabe sorceress Nikki and her creepy jester companion Fargus decide to put on a firework display. Rather than nipping down the newsagents and being content with Catherine Wheels, Rockets and Sparklers, Nikki decides to steal a spellbook. While trying out the spells in her newly pilfered tome, she accidentally summons a demon that eats the nearby town. Rather than do a runner like most juvenile delinquents, Nikki and Fargus instead set out on a quest to reach the wishing well to banish the demon and save the town. In 1997, Pandemonium’s 3D graphics were an impressive window dressing on a traditional platform game. More than 15 years later the visuals are somewhat less impressive, but the game is still a fun way to while away a rainy afternoon. 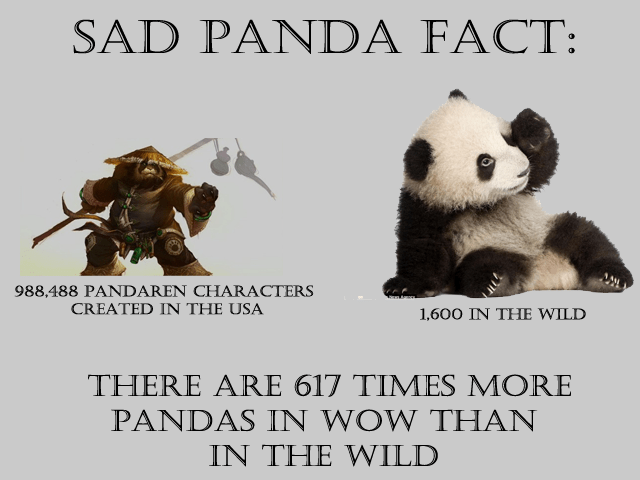 Pandemonium will install on modern PC’s without creating some kind of wild and noisy disorder or confusion. During installation, be sure to make a note of the directory that the game installs to. You may need to manually create shortcuts to the game if the installer does not create them for you. Pandemonium supports the old 3DFX graphics cards, which means that modern PC’s will need some kind of Glide Wrapper software in order to play the game in 3D accelerated mode. Even if you already have this installed, the games installer will incorrectly detect that you have no 3D hardware and install only the basic version of the game, but don’t worry about this now, as we will solve that in a moment. Games like Pandemonium that used the old 3DFX graphics cards require special software to translate the old 3DFX graphics into something that modern cards can handle. The software we recommend for use with this game is called nGlide. You can download nGlide here. Installing nGlide is extremely simple, just open the nGlide executable file you downloaded and that’s it. There are no settings that need to be configured, though we will look at some that you might want to tinker with, later in the article. Note that if you have already installed nGlide you don’t need to do it again and you can simply skip this step. To enable nGlide support for the game, open the games installation directory and delete “glide.dll”. Now, copy over the file “Pandy3.exe” from the Pandemonium CD-ROM to the games installation directory. Create or update any shortcuts so that they launch “Pandy3.exe”. If you see the 3DFX logo when you start the game, then the game is running with 3D acceleration enabled. While there aren’t any quality settings to change in-game, you may wish to load the nGlide Configurator program to change some settings. This program is installed on your PC when you install the nGlide software. Start it by searching for “Configurator” on your Start menu or Start Screen. The picture below shows the program running on a Windows 8 PC. Most of the settings can be left as default, but you may want to change a couple of things. For Pandemonium, you can change the Screen resolution to match your monitor, this will give you the clearest picture in-game, however the video intro sequence may appear less clear if you do this. Windows should have set your desktop up to match your monitors native resolution, so if you’re not sure what to choose, right click on the desktop and choose “Screen Resolution” then simply make a note of what your current display is set to. If you decide to change the games screen resolution, you may want to use the “Aspect ratio” box to set the image to 4:3 mode. This will prevent the games graphics being stretched out of proportion. The other settings can all be left as default. 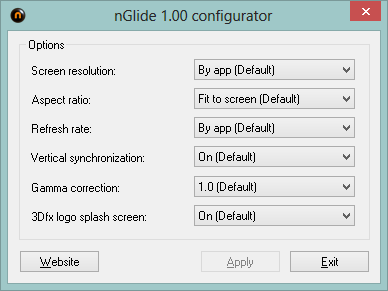 Remember that the nGlide settings you configure using this program will affect any other software on your PC that uses nGlide. If you have other games that need different settings, you will need to reconfigure the Configurator when you play them. You can now start the game and set off on your adventure. 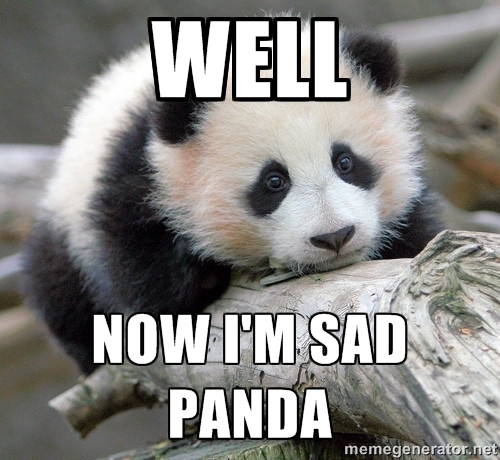 Most game controllers will work with Pandemonium without any additional configuration. The game only has two buttons (jump and fire). The game also uses passwords rather than save files (we’ve no idea why). Try entering the password “bornfree” if you’re too lazy to write down passwords as you play.